The Trustees and members of the steering group have, between them, wide and varied experience as you can see from the mini biographies below. Richard has spent the last 20 years with varying roles at Suffolk County Council, 15 of which he was their longest serving payroll manager, and latterly was managing the complete HR/payroll system for the council. After taking early retirement from the council Richard now undertakes temporary assignments with companies looking to improve their payroll practices. 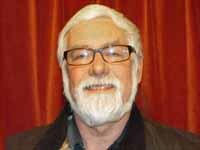 He has spent 30 years as a trustee and board member of the Debenham Village Hall & Playing Field Trust, is a parish councillor for Debenham, and also a leading light in the local drama group. “I have always been a great believer in putting something back into the community” says Richard, “and the Debenham Project is an ideal way of achieving that - a leading example of how communities will function in the future”. Richard and his wife, Sheila, are kept very busy with ‘grand parenting’ duties which keep them active and happily involved with their family. Roger graduated from Bristol University in Botany and Biochemistry. 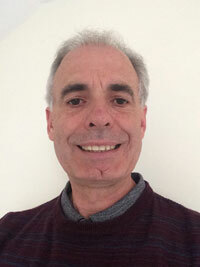 Trained as a Chartered Accountant (FCA) with Thomson Mclintock (now KMPG) working in Bristol, London and Norwich. Moved into commerce and then into insurance gaining experience with insurance companies, the Lloyd’s market and for the last 13 years has been the finance director for a Lloyd’s broker . He is a qualified Chartered Secretary, a fellow of the Chartered Insurance Institute and a non-underwriting member of Lloyd’s. Over twenty years, in his spare time, Roger has devoted himself to a number of community projects, notably The Debenham Village Hall and Playing Field Trust, The Pro Corda Trust based at Leiston Abbey, The Friends of St. Mary’s Church, and The Debenham Society. He has personal experience in setting up and managing a charitable trust (Pro Corda). 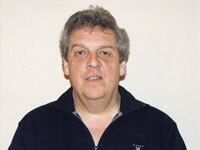 Pete has lived in Debenham for over 20 years. He had long and successful career in telecommunications engineering where he created and managed major development projects in a highly professional and competitive industry. Since retiring he has been working as a voluntary advisor for the Citizen’s Advice Bureau and also as a NHS ‘Community First Responder’. He is leading the development of the activities sessions in the Debenham Project. His strong Christian belief and values ( he is church warden of St. Mary Magdalene, Debenham) have committed him to the care of others and to the support of those in need (irrespective of their personal faith). Lynden graduated in electrical engineering at University College London and spent a long career with BT in electronics and computer software engineering; developing, leading and managing national and international cooperative research. Upon retiring he trained as a secondary teacher. He was a volunteer for ten years at St Clement’s Hospital in the patient’s social centre and chaplaincy. 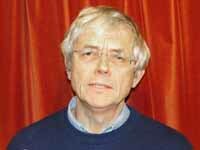 He is the current chair of the steering group and leading on the provision of an information centre. Lynden, supported by his wife Sue, was the primary carer for his mother, who had dementia, until she had to go into residential care. Originally trained in general nursing Sue retrained as a social worker and subsequently specialised in mental health for over 30 years. She spent many years attached to St. Clement’s Hospital, and qualified as an Approved Social Worker. 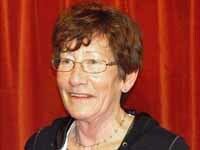 Sue chaired the steering group which instigated Mid Suffolk Homestart volunteer support group. 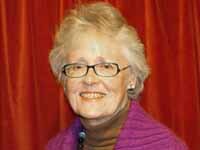 She also jointly founded two mental health carers groups, one with Suffolk Family Carers and the other the NHS. Sue was also responsible for jointly founding a “Pop In” in the village - a coffee and chat for all ages, with benefit advice etc. if needed. With the changing emphasis towards community-based care much of her work was in the outreach aspects of mental health social care. Sue has developed a deep but practical understanding of those with mental health problems and has constantly maintained the importance of working to reduce the stigma of mental illness. Professionally qualified to graduate level in a wide range of the aspects of Health and Social Care, Mary is also formally qualified in counselling, communication and in the delivery of patient-centred care for dementia sufferers. She has, over 25 years, acquired a wealth of experience of working in the field of residential nursing care, including the specialist care of those residents in the later stages of dementia, and in communication with their relatives and carers. 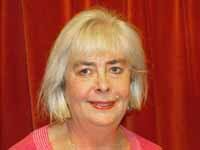 Mary also has personal experience of being an informal carer for elderly relatives. She sees the Debenham Project as enabling her to utilise her academic and work experience to provide practical support in the community. Stephen Robbins – Cert. Ed., BEd(Hons), Ad Dip Ed. 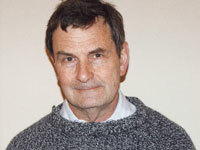 Stephen moved to Diss in 1978 to pursue a 32 year teaching career which ended as head of a Primary School near Eye. Now retired, Stephen has been involved with various volunteer activities including carrying out ‘Football Memories’ sessions in Sue Ryder cafes and care homes. Stephen, through this, discovered the power of reminiscence therapy for people with short term memory problems or a diagnosis of dementia. He began monthly general reminiscence sessions on behalf of the project at Dove Cottage in early 2016 called ‘Way Back When,’ which is open to all. Stephen’s mother has dementia and he has had to deal with his mother’s steady decline, therefore understanding some of the many issues around the condition and what it means for the carer. Mike initially trained in Business Studies at Hatfield Technical College (now the University of Hertfordshire) and pursued a long career in aerospace in a range of corporate roles, leading on to a variety of national and international positions. These included postings to Paris and Washington DC. His final appointment was as the Business Development Director of the UK’s largest Aerospace company before his retirement in 2008. He is a Fellow of The Royal Aeronautical Society and now runs his own consultancy company together with pursuing a variety of voluntary activities. Mike and his wife, Lyn, purchased a house in Debenham in 2007 joining other family members who have been resident in the village for a number of years. They both have many years personal experience of caring for the elderly, including those with dementia, and believe the Debenham project will provide an essential lifeline to those in need in the local community. Gillian, as a retired teacher, has had a varied career and for some years ran a business in fine porcelain restoration. Travelling with her husband, in the Army Chaplaincy and in parish ministry, she had the opportunity to meet a wide range of people. She has had many years of involvement with various charitable housing associations at both management, board and trustee levels. This included “hands on” running, setting up, and inspecting supported housing for young people with physical or mental problems, wheelchair users and supported tenants. The work required her to develop a wide range of contacts in the local authorities, social services, architectural partnerships and building contractors. In 1995 she joined the Education Team of the Queen Elizabeth Foundation at their Acquired Brain Injury Centre in Banstead, Surrey. She found working with young adults, providing outreach support to their families, and representing the Foundation very challenging but equally rewarding. In 2000, on her husband’s retirement, she moved to Suffolk. Supporting increasingly frail parents (mother with dementia, father blind, and also her husband’s mother) has reinforced her determination that respect and concern for those in the community who need help will be at the forefront of her thinking. Joy has personal experience of Parkinson’s disease and dementia as carer and, therefore, of the journey through increasing disability, illness and dependency. She has a post graduate certificate in Health Education , from Kings College, London and has been a founder member of short term and long term housing co-operatives. 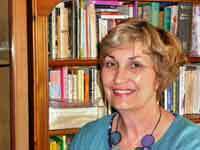 She has 28 years experience as a teacher in secondary and primary education. She is passionate about the need to provide a truly caring environment for the elderly, and one which allows them to remain within their own community. 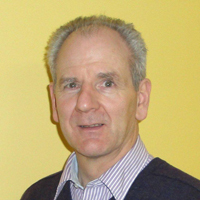 John retired from a long career specialising in neurology and in the diagnosis of dementia. He originally trained at Guy’s Hospital (London). He moved to Sheffield where he specialised in neurology. He published numerous papers in the field and contributed significantly to its development. Prior to his retirement he had been recognised as Emeritus Consultant Neurophysiologist to Sheffield University Hospitals, Honorary Lecturer in Neurophysiology at Sheffield University, Emeritus Physician in charge of the regional EEG Services to the university hospitals and in his many other professional roles. He was a Knight Commander of the Order of St. Sylvester, awarded by Pope John Paul II in recognition of his work with the young, chronic sick. In 1984 he created the Hallam Community Physiotherapy Project to practically help and advise those with disabilities in living their lives to the full. This major charitable project has, since John’s retirement, been adopted by the NHS. He had personal experience in caring for a close relative who suffered from Pick’s Disease and was committed to not only the timely and accurate diagnosis and care of people with dementia but, especially, the emotional and practical support of their carers. 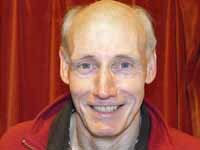 John sadly died in 2010 after a long illness and continues to be sadly missed.